These are the easiest dessert/snack that you will EVER make!!! First, buy a regular box of cake mix. Any kind that you like. Prepare as directed. I added some sprinkles to my batter. I love funfetti. Next, make sure that your waffle iron is hot. Mine has a green indicator light that lets me know that it's ready to cook. I kept it on medium heat. Pam your iron. Please use baking Pam and not Original. You will definitely notice a different in the taste. Original Pam tastes like oil while baking Pam is a bit sweeter. Spoon SMALL scoops of batter on to the waffle maker. Emphasis on SMALL. 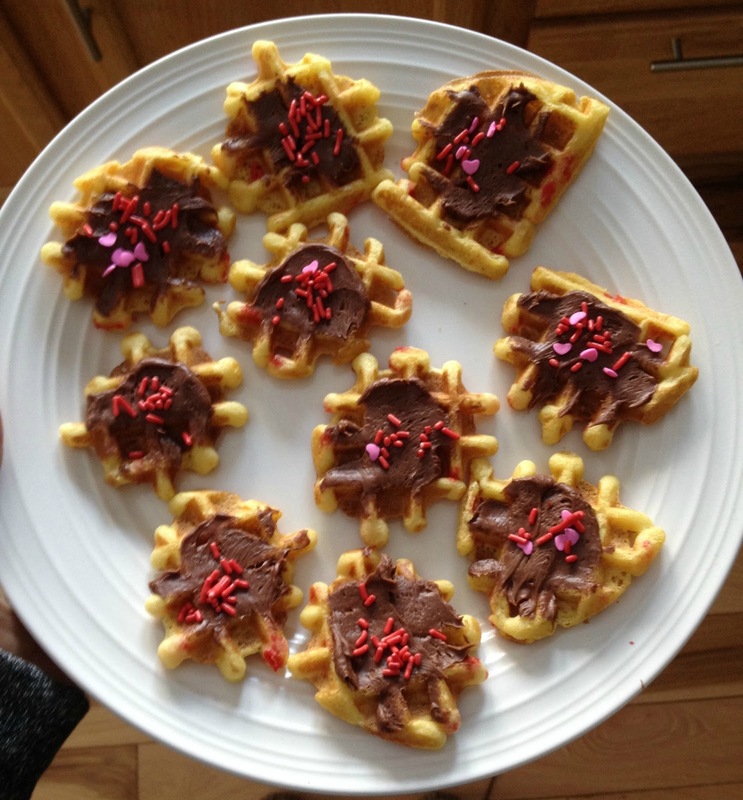 Make sure that these are small scoops or you will have one big full size waffle cookie and a mess all over the counter. Close the lid and cook for about 2 minutes. Once again, my waffle maker tells me when the cookies are done. One box of cake mix makes a ton of cookies. I just kept making them and placing them on a cooling rack. After making all of your cookies, let them cool for a bit. I then frosted mine because everything is better with frosting (this last comment would have normally said "everything is better with wine", but you know the circumstances). We ate these for about 2 days. I even left them out overnight on the counter and they got even crunchier! Enjoy. These look so great! And easy, which is always my first priority lol. Now, I must find a waffle maker! Love you! Oh my gosh, how cute... totally making these for the next kids school function! I've already been wanting a waffle maker (for waffles, haha) but now I'm even more convinced I need one! These are so cute and perfect for a party or get together! These look so good! I really need to get a Waffle iron. 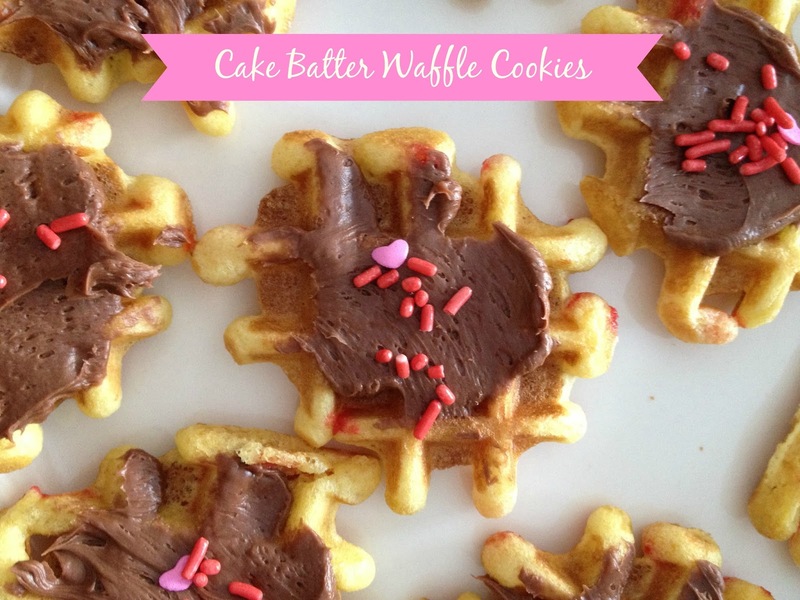 I need to put our waffle maker to use and make these! Wow, these look so amazing! Thanks for this post!! !